Basketball Conditioning Drills & Tips for Cutting! 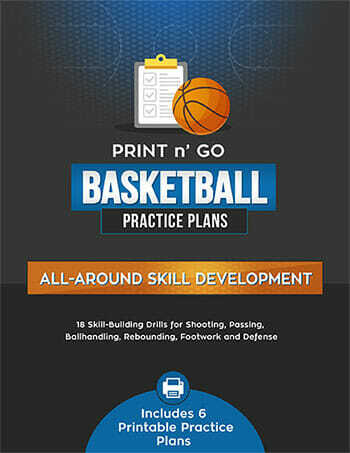 You are here: Basketball Coaching / Basketball Conditioning / Conditioning Drills & Tips for Cutting! Conditioning Drills & Tips for Cutting! 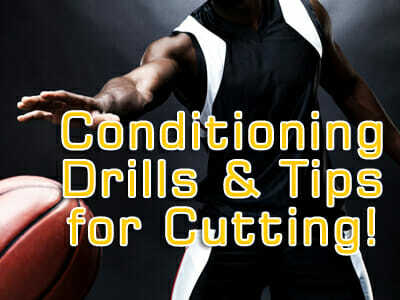 Basketball conditioning drills that are focused on fine-tuning your cutting can be invaluable. Tighten up your cutting game by incorporating these drills and tips! The first basketball conditioning drill we’ll talk about is the inside out, which is a great catch and shoot drill. After we’ve dribbled with the pass a little bit, we’ll dribble it up in and you’ll make a hard pass to make that cut. We want to make it game-like. Then change your angle. Now you’re going to dribble it harder, then throw it to your partner, following up with a cut off, and then go right and do the same thing. Run for 4 to 5 minutes, working on different cuts. When you work on the back door, the whole emphasis is to get a one-two count in your mind. Try to get a one-two count, step up into it, force the other player to come up into the passing lane, and then back door by showing your hands and cutting hard to the basket. TIP! When you work on the back door, you’re trying to come up. A great suggestion is to use a football pad to allow you to put more emphasis on it. Your partner starts dribbling, and says “hand-off”. You are going to take the ball, put it out in front and score in the lane. Start dribbling the ball, and follow up by setting the screen on your opponent. Then you’re going to come off. TIP! The only rule with a pick and roll, is a minimum of two dribbles off the pick and roll. If you can get two dribbles off the pick and roll, especially by coming off it on a naked pick and roll, you’ve got a very good chance to get a great shot or a great pass for somebody else. I’m not big on the whole “come off the pick and roll, pull back, and shoot the 3 behind the line”. But with that said, the other thing you want to do is create space, and create spacing for everybody else by those two dribbles. When you watch NBA point guards and great point guards in college, they understand this. It’s important that you can create that space. It gets you a better opportunity to shoot and gets your teammate a better opportunity for a shot. For more great Cutting practice drills, be sure to check out our previous posts on Man to Man Defense and 4 on 1 and Man to Man! Do you have other cutting drills or tips to share? Feel free to comment below! And don’t forget to Follow Me on Twitter, where I will share more valuable basketball conditioning drills and tips! 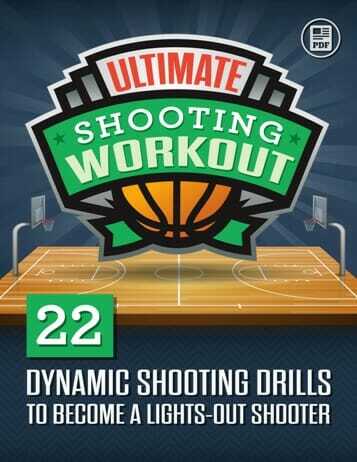 I have a LOT of conditioning drills posted there, and they should help fill in any of the blanks that you might have. 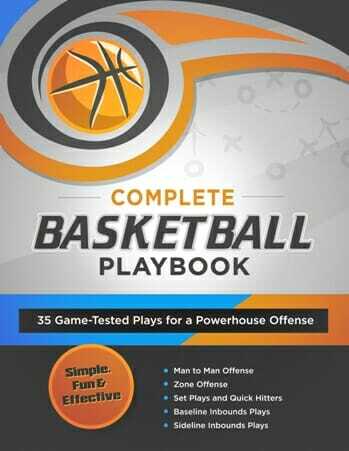 If you are looking for “Start-to-finish” coaching/practice plans, then you might want to check out my Basketball Drills & Practice Plans program. Please feel free to ask any additional questions you might have! !